Cape Cod is a New Englander's heaven. With the dune-lined beaches, to the shingled homes, and the never-ending seafood, there is never a dull moment. From a quick day trip to week-long vacations, you will find beauty on Cape Cod with every time you visit. From being longtime Cape Cod residents, we have a few of our favorite things to do when visiting. 1. Art Dunes Tour. This is one of our favorite activities to do on Cape Cod because you get up close and personal to the dunes. The Art Dunes Tour company are the only ones allowed to drive on the dunes because of their relationship with the National Seashore Park. This is a family owned and run business since it was first started in 1958 by Art Costa and now is run by his son, Rob. 2. Have a glass of wine at the Cape Cod Winery. Cape Cod Winery is a fun year-round activity because of the delicious wines. The wines are made from grapes from both France and Italy creating a great blend for both red and white lovers alike. They are famous for their rose mermaid water and attract locals and tourists alike. 3. Chase the lighthouses. There are 14 lighthouses along the seashore of Cape Cod, from one of the most popular Chatham Light to one of the most remote Race Point Light. It's a great activity for all ages to see every time you come onto Cape Cod. Some of the lighthouses even offer tours during the summer season. 4. Experience sea to table food. From being right on the water you can get some of the freshest kinds of seafood from oysters to lobster rolls from fine dining to clam shacks, you won't be disappointed no matter what you eat. We are fortunate to have some of the best seafood right near the Sea Meadow Inn, from walking distances to a short drive, the options are endless. 5. Catch a baseball game with the Cape Cod Baseball League. The league has 10 collegiate teams all across the cape and some very successful players got their start here before turning to Major League Baseball like Buster Posey and Jacoby Ellsbury. There's nothing better than a warm day, a hotdog, and a baseball game! Grab a blanket or chair and enjoy the game. 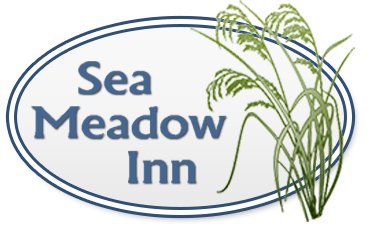 If you want to turn your day trip in Cape Cod into a longer vacation, the Sea Meadow Inn is a great place to stay! We are centrally located in Brewster and just a short distance from everything you could want to do in all areas of Cape Cod. For more information on the Inn you can contact us online or call us at 508-896-2223 and we are happy to help you book your stay! You can also book directly online on our website. We can't wait to see you and show you all that Cape Cod has to offer!